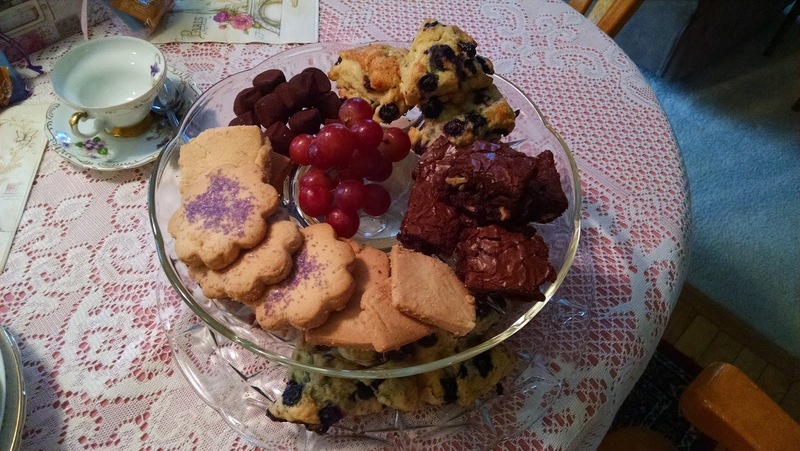 Heroes, Heroines, and History: High Tea . . . or Afternoon Tea? High Tea . . . or Afternoon Tea? Though tea time is considered a very British thing, the Chinese were enjoying tea before the time of Christ. Coffee spread from the Middle East through Europe first. Then Dutch and Portuguese traders brought tea from the Far East. In the 1660s, the wife of Charle II of England, Infanta Catherine de Braganza, from Portugal, made tea drinking popular. 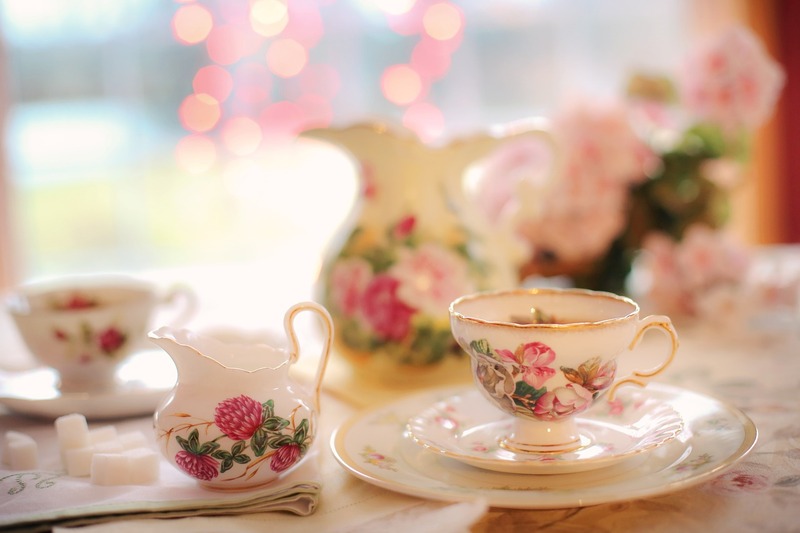 It was nearly 200 years later when afternoon tea became a custom. 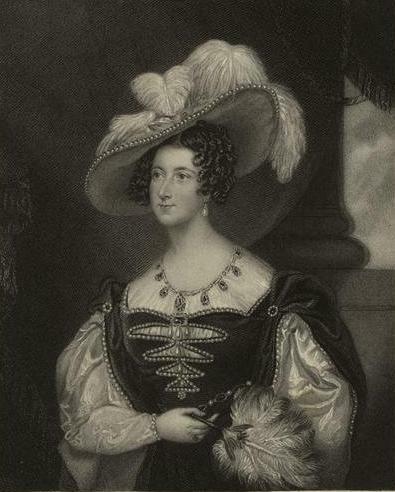 The start of afternoon tea is attributed to Anna Russell, Duchess of Bedford, who was a good friend of Queen Victoria and Lady of the Bedchamber between 1837 and 1841. During the nineteenth century dinner was being served later and later, usually between 7 and 8 p.m. When luncheon was served between breakfast and dinner, the two main meals, it was light fare. 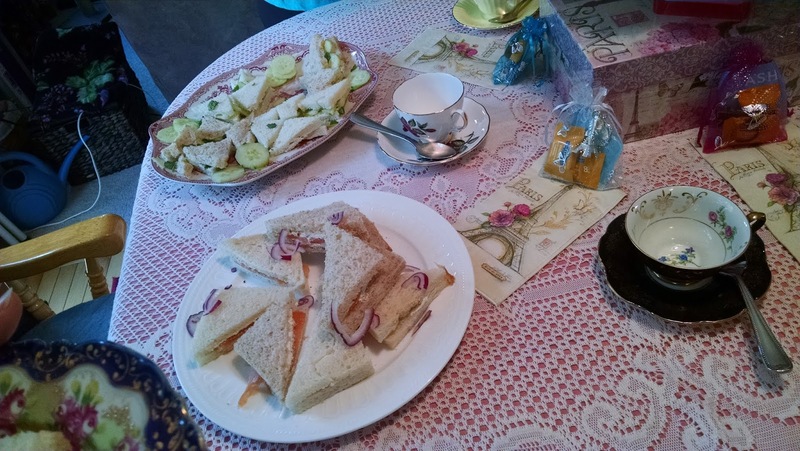 Late in the afternoon, the Duchess experienced “hunger spells” or “that sinking feeling.” She asked for tea, bread and butter, and cakes to be sent to her room. Once she had begun this habit, she began inviting friends. The daily custom caught on and others began inviting friends to their homes as well. The Duchess went even further, sending cards to her friends to invite them for the afternoon repast--for tea and a walk on the fields of her estate. 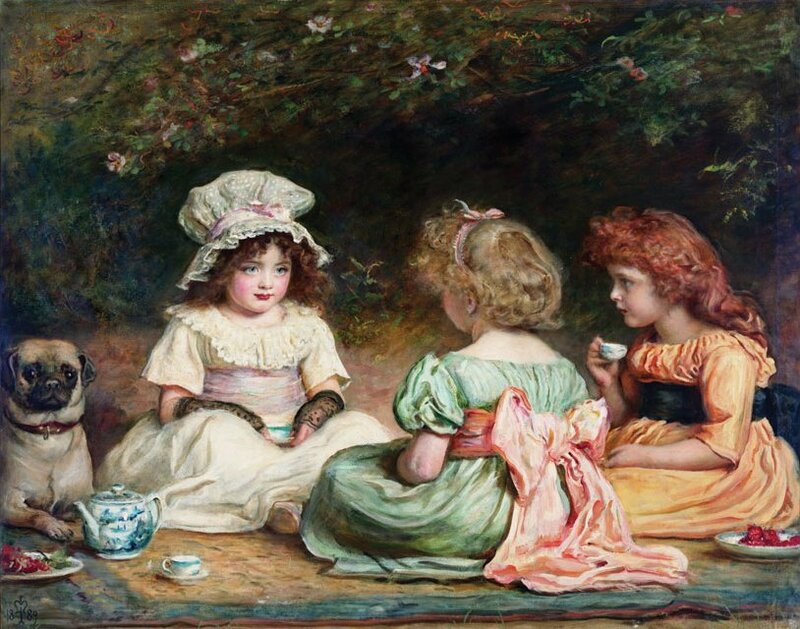 For the upper classes these teas became known as "afternoon" or "low" tea. They were moved from the boudois to the drawing room and served on low tables. Soon it was all the rage in fashionable society to sip tea and nibble little sandwiches together in the afternoon. At the end of a long working day, the middle classes began having tea around five or six o'clock in the evening. This was a more substantial meal and often took the place of a later main evening meal. It was served at a dinner table, so it is called "high" tea and actually started during the Industrial Revolution. 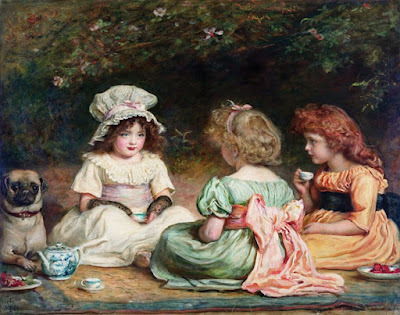 During the Edwardian period, people preferred to go out for tea rather than stay at home. Both ritzy hotels and high-end department stores offered tea rooms. Eventually, music and then dancing were added to these afternoon teas. The height of the afternoon tea as a social craze was in the 1920s. Tables were set with fancy linens, silver teapots, the most expensive china teacups, and best teas. The whole affair, with many guests, would be doled out by servants, embodying the Downton Abbey-like elegance we Americans often picture. salmon with cream cheese. Yum! As far as food went, the Duchess's bread evolved into the savory portion while the cakes became scones and all kinds of sweets. With the development of such a social event came rules of course. For example, don't hold your pinky out when you drink tea from a china cup or hug your teacup like a mug. How gauche! When stirring your tea, move your spoon back and forth between twelve and six o'clock, not round and round, making a racket! Also, when you sip your tea, look down into the cup instead of over it at others. And whether you were from Devonshire or Cornwall--or wherever--might determine whether you spread the clotted cream or jam on your scone first. After going through both World Wars, and tea rationing into the 1950s, the daily habit of afternoon tea ebbed. Coffee grew somewhat in popularity. The afternoon or "low" tea has become more of a pastime for tourists. Tea rooms and hotels serving tea abound throughout England. scones were both new recipes to me. past August. It was time to take them out of the curio cabinet and use them. I had a lot of fun looking for recipes. I made blueberry scones, lavender shortbread cookies and brownies, and bought chocolate truffles. Along with these I made cucumber sandwiches and smoked salmon tea sandwiches. It always seemed a lovely, though Victorian tradition, to take time in the afternoon to relax with a cup of tea and a treat of some kind, but life gets so busy. Though I'm sure my little tea party was very Americanized, I wanted to stop and have a special time with a few friends. It was a fun thing to do and good to slow down for a couple of hours in the afternoon. It is worth the time whether at home or out at a special tea place with friends. What about you? Have you ever been to an afternoon tea? Such a quaint practice. I'm glad you were able to share it with your friends. Thanks, Janet. I appreciate you stopping by and commenting. Where is my invitation? I must've missed it! What fun - I think we'll have one at our next book club meeting! When I first moved to Atlanta, there were a couple of old restaurants from the 1940's that were called "tea rooms," but were actually more like Mom's and Pop's type restaurants. I never understood why they were called "tea rooms." However, I do remember when Rich's department store in Atlanta had a tea room, which was a very nice place for lunch. party. Great idea to have at your book club! Interesting what passes for tea rooms in some places. Thanks for sharing. I love that you had low tea for some of your friends. The menu sounds delicious. I have been to different tearooms in Tennessee and Virginia for high tea, which was wonderful. You've inspired me to think about having some friends in for tea at my house. I'm glad that this inspires you, Kay. It is worth the time and work. I hope to have one again. I would love to find a tearoom to visit here. I did attend a little tea at an historical event in an old house and that was fun too. This was a fun post! Your goodies looked wonderful! 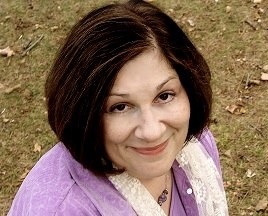 Thank you, Connie. After over a year of dieting (though I had a little time off at the holidays) it was fun to bake again! Many thanks for all this good information on high and low tea. When I go to England with my British hubby we occasionally take afternoon tea in a fancy restaurant and it's a lovely tourist-like thing to do. I love the little sandwiches, especially with watercress, and scones with clotted creme or jam. The tea is always exquisite. But no one among our family or friends there takes the time to indulge in low tea. Dinner for them in later in the evening than it's here in U.S. So glad you enjoyed your afternoon tea with friends. Thank you for sharing your experience. (Do you go by Pat? Jeanne? Or Pat Jeanne?) I wanted to go to tea when I was visiting Bath a couple of years ago, but ran out of time with all the things I wanted to see. I'm sure it is especially special in England. I enjoyed this post, Kathleen. I would of loved to been a quest at your tea party. 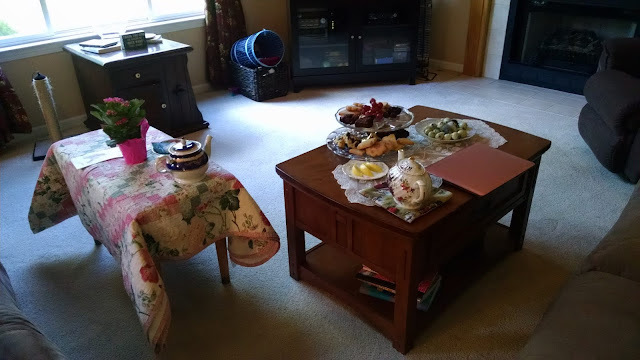 Our mother has hosted high tea or simple tea parties at time. So much fun visiting with friends which is becoming more lost in today's busy society. At one time, there was a tea room in our little home town and they were do high tea for their customers or one could reserve a section of the tea room for high tea with family and friend.s Thank you for sharing. Blessings. So glad you enjoyed this article, Marilyn! I wish you could have been here for my party. That would have been lovely. Taking the time to open our homes to visit with friends is becoming a lost art. I love to meet for coffee or lunch, but something about getting out the good china made tea seem even more special. I need to find a tearoom somewhere around here! I'm glad you have nice memories of tea parties with your mom. You probably would know just what to do to host a nice tea! Blessings.